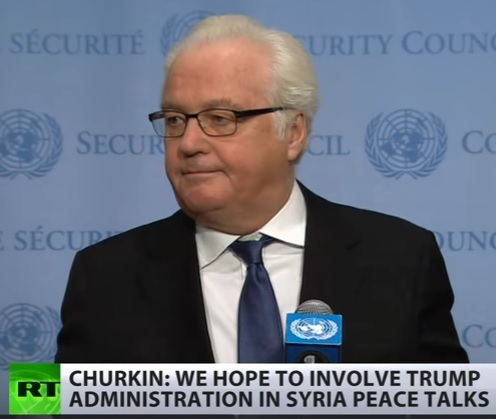 Russia’s envoy to the UN, Vitaly Churkin, told reporters Russia hopes to involve Donald Trump in future Syrian peace talks. Vitaly Churkin: We do expect that the Trump administration after it comes into the White House on January 20 will be an important participant. President Obama was left out of peace talks in Syria in December that came up with a ceasefire agreement. The ceasefire was brokered between Russia, Turkey and Iran, but the Russian envoy told reporters today he does expect the US to be involved in future peace talks.